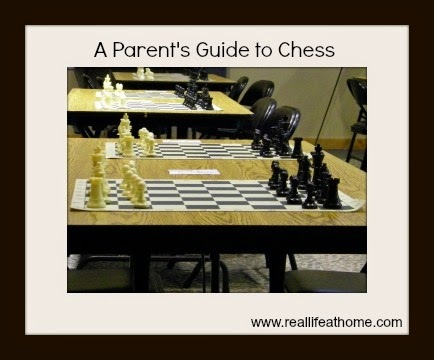 Any non-chess playing parents out there? Chess has become a big deal in our house. As a parent, who didn’t even know the rules of chess, it was quite overwhelming when my kids first learned to play and compete. I have since embraced the title, “Chess Mom” and wear that title proudly. I’ve learned quite a bit through our transition from beginner players to tournament play. To read more, visit Real Life at Home where I'm sharing today!